The Stoney Creek, Ontario resident was born in Russia to missionary parents, moved to Canada and has traveled internationally. He began creating art as a pre-schooler under the tutelage of his Russian nanny. After moving to Canada, Tiessen, mentored by a retired wildlife and pet portrait artist, created his first significant wildlife work at 10: a chalk portrait of Aslan from The Lion, the Witch and the Wardrobe. 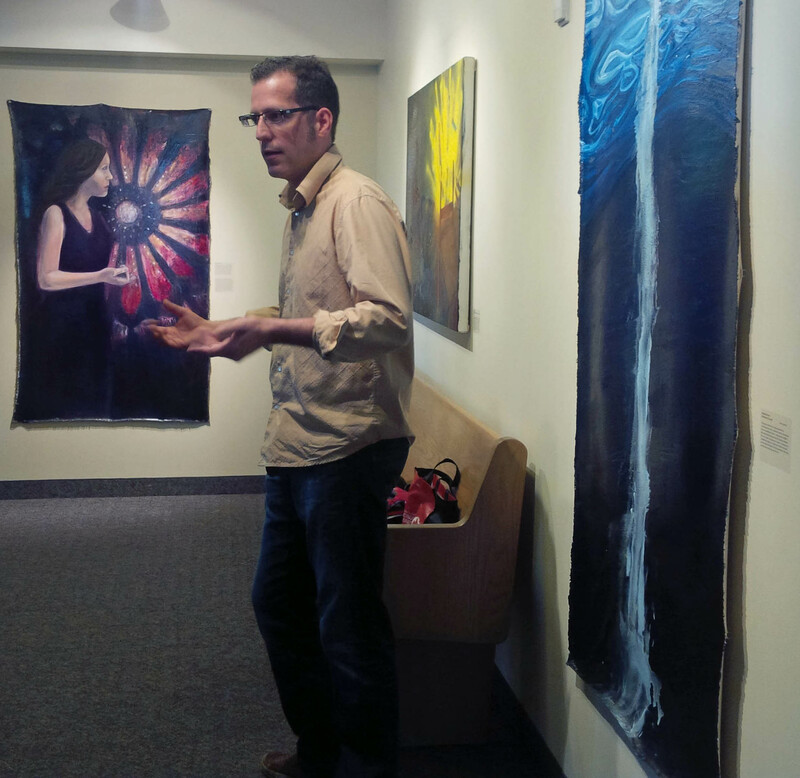 A year later, “Aslan” and other works were displayed the Artway on Two in Burlington’s Joseph Brant Hospital. Tiessen how has a decade of exhibitions under his belt, along with a number of national and international accolades: at 15 he was mentored by esteemed Canadian wildlife artist Robert Bateman in a Master Artist Seminar, at 17 he was the youngest person juried into the International Guild of Realism (IGOR) and at 19 received IGOR’s “Creative Achievement Award.” With these accomplishments and a number of requests from friends and fans, Tiessen has put together and published his first monograph: Josh Tiessen: A Decade of Inspiration. About half of the book is an intimate and detailed biography which includes family photos, samples of his early work (including “Aslan”) and photos of Tiessen working at his craft or out in public. While someone might think this would be self-indulgent for a 21 year old, in Tiessens case it isn’t. I’ve had the chance to interview Tiessen on a number of occasions and reading through the book found myself learning even more about his life than I had in the interviews. By the time you’re finished reading these chapters, you find yourself amazed by a competent, intelligent and professional young artist. “Although Josh’s art is not necessarily religious in subject matter, he tries to illustrate the beauty and diversity of creation and the image of God in human creativity. He sees his artistic ability as a gift from God. 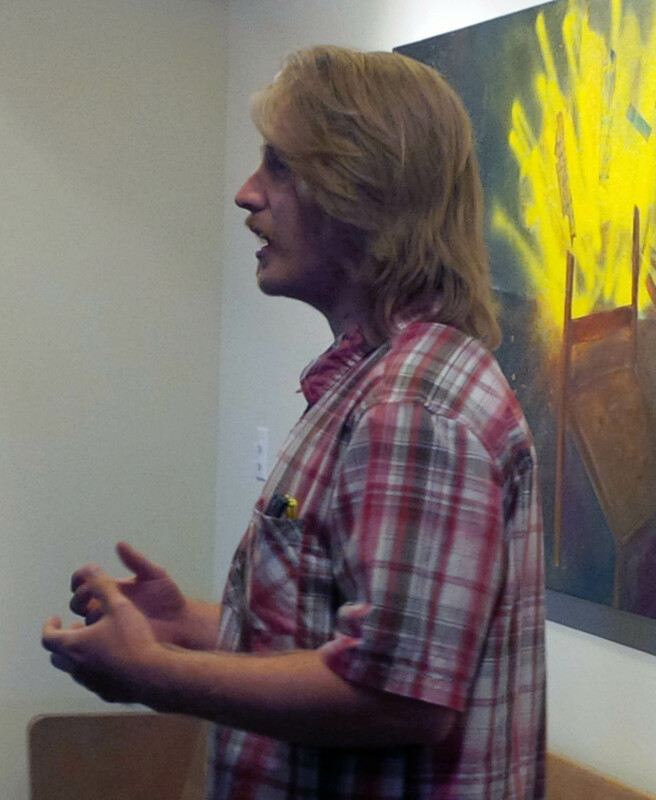 As a contemporary artist in the 21st century, he would like to be a positive and uplifting presence in the art world. Josh says that he hopes people looking at his art will feel the sense of ‘wonder and awesomeness’ that is in the natural world all around us. 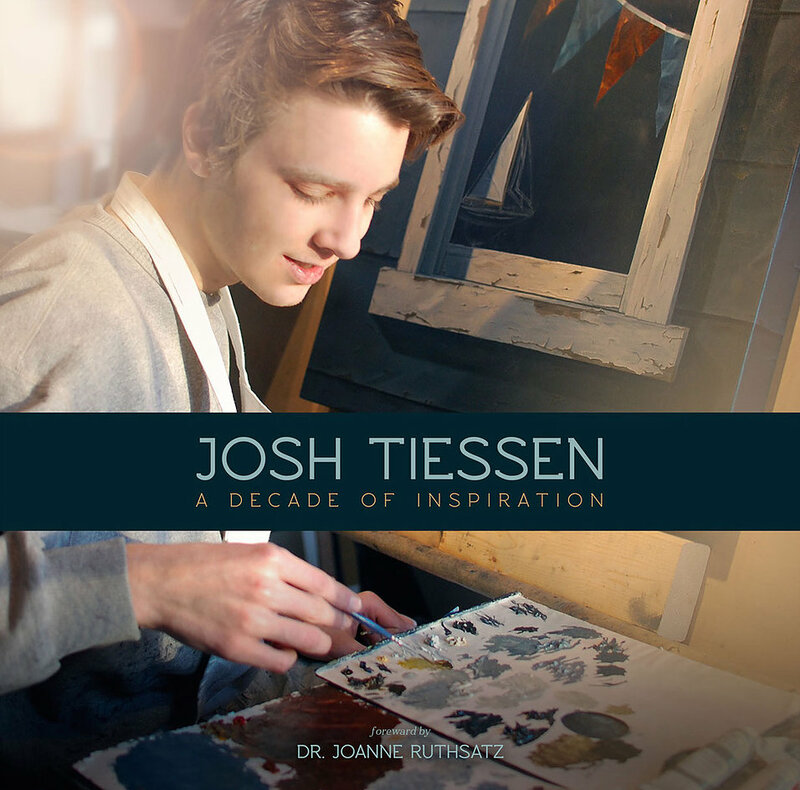 While I only had a chance to view an electronic version of Josh Tiessen: A Decade of Excellence, I can only imagine what the print product will look like. I’ve watched, through social media and his e-mail newsletters, the progress of some of Josh’s works. This monograph is a fitting tribute to the life of a young artist who has just begun a lifelong journey. 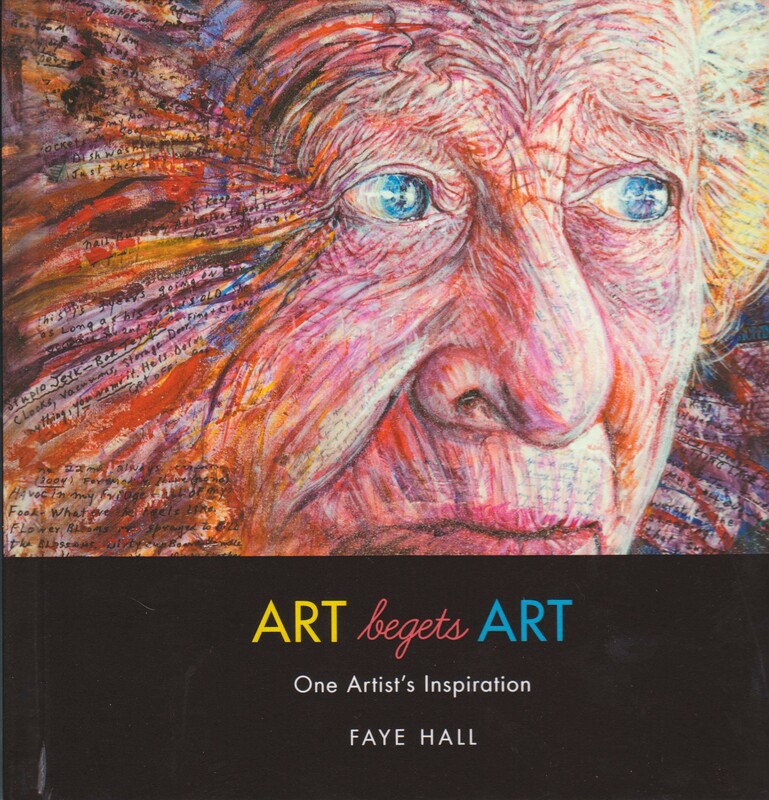 Winnipeg-based artist Faye Hall’s new book ART begets ART is a 40-page answer to that question. 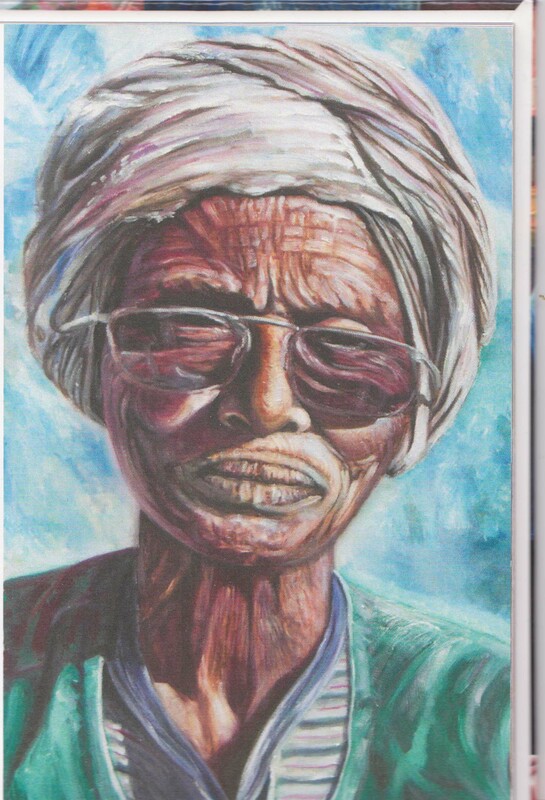 As a child, one of Hall’s teachers recognized her artistic ability and suggested Hall’s parents encourage her. Which they did, leading her to a 20-year career in advertising design. Eventually, for various reasons that she mentions in the book, Hall turned to other pursuits – which included putting paintbrush to canvas. Hall’s art is visually stunning. And when you begin to look at the details – the use of colour and meticulous brush strokes – you’ll marvel at the amount of time and effort Hall must spend on each painting. Some of them are so realistic, they could be mistaken for the photographs which originally inspired the art. Which brings me to the book’s subtitle: “One Artist’s Inspiration.” Accompanying many of her paintings are the stories behind the art. Sometimes, in the case of the image to the right, titled “Steve’s Sunglasses,” it’s a photo. In this case, one taken by singer/songwriter Steve Bell on a Canadian Foodgrains Bank-sponsored trip to Ethiopia. 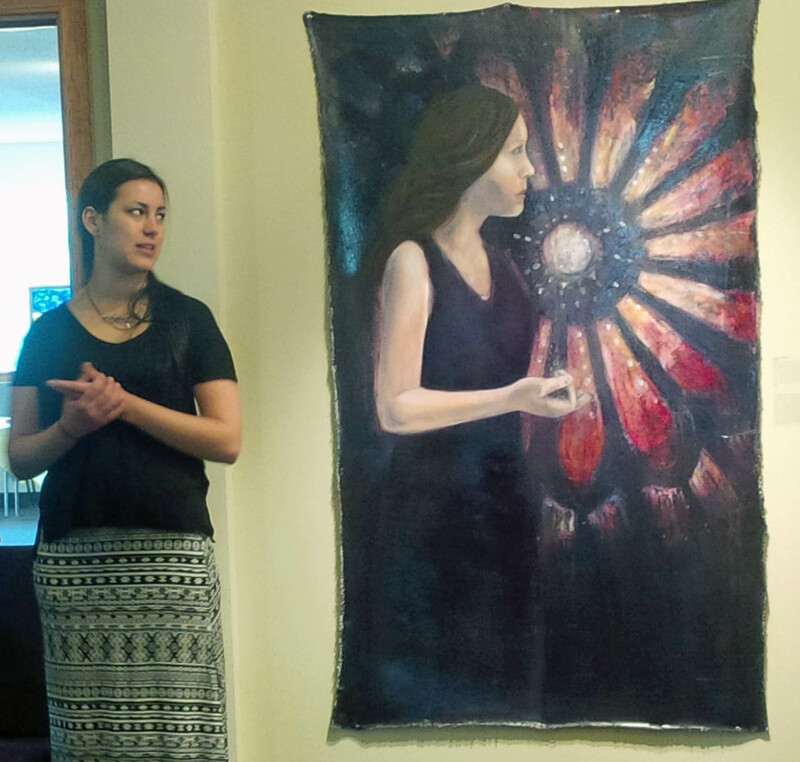 In the case of “In Coleridge’s Wake” (left), inspiration came from a photo on social media of U.K. songwriter/poet/vicar Malcom Guite, which grabbed her attention. 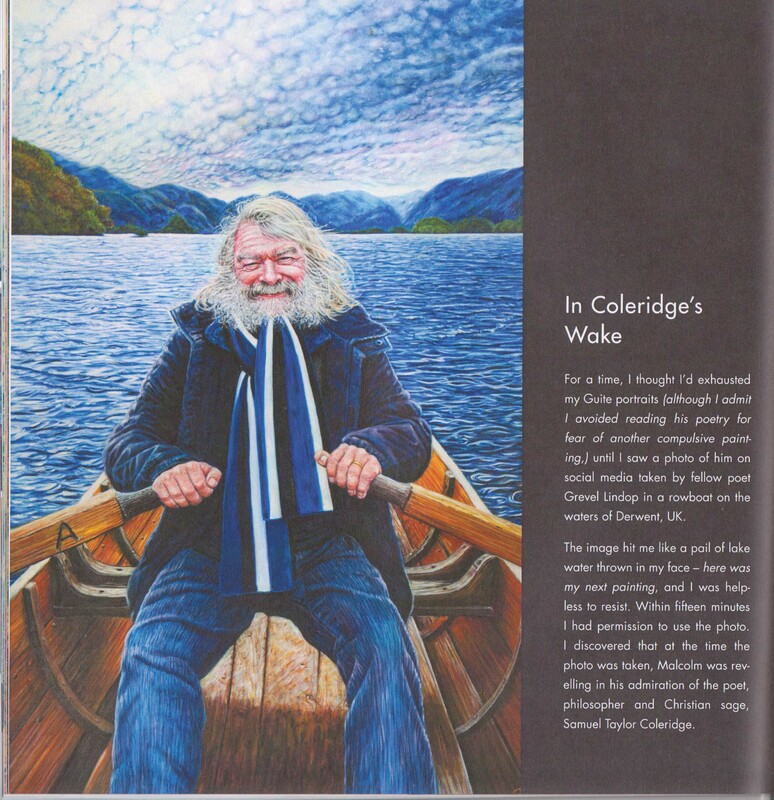 “The image hit me like a pail of lake water thrown in my face – here was my next painting – and I was helpless to resist,” writes Hall of an image which has become one of my favourites in the book. Each story, helps readers delve deeper into the heart and mind of an artist. The reader of ART begets ART comes away with a greater appreciation for the art Hall has crafted from her varied inspirations. ART begets ART is a short book, but it’s a full book. Hall’s art and the reflections on her inspirations will keep readers coming back to the book again and again. I know that each time I’ve looked through it, I’ve come away with a new insight from her stories of inspiration or a new appreciation for one of her paintings. For more information about Faye Hall, check http://fayehall.com/. A year ago, during the one of the runs of the award-winning play Kim’s Convenience, I had the chance to talk to Ins Choi about one of his other works: Subway Stations of the Cross. Subway Stations of the Cross has its roots in a conversation Ins had with a homeless man in a park in downtown Toronto. Puzzled by what seemed to be ramblings at the time, Ins eventually found himself intrigued by what was said and began writing poems and songs based on it. By 2009 he began performing a song or poem in church services during Lent, a project that ultimately grew into a 20-minute performance. “Over the years it started to grow and grow and now it at about an hour long,” said Ins in the interview. Now, this work of the stage has been transformed into a work of the written page with the House of Anansi Press publication of Ins’ spoken-word poems and songs, beautifully illustrated by artist Guno Park. My personal favorites are “Bread” and “Wine” (two poems that look, separately, at the elements of the Last Supper), “Birkenstock Jesus” (which asks “If Jesus came to visit us today/How would he react to the church?”) and “A Field” (the parable of the hidden treasure from Matthew 13). But I also find a new “favourite” every time I read through the book again. 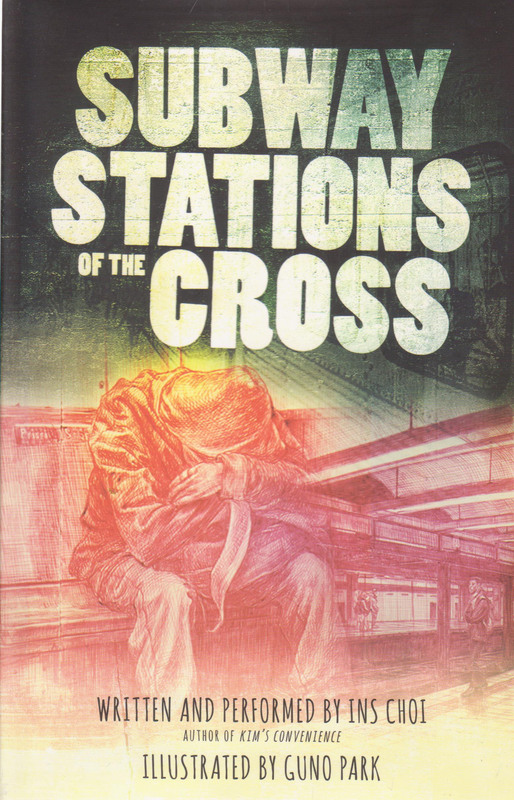 While Subway Stations of the Cross can be a quick read, its complexities will draw the readers back to it time and time again for new insights into human and divine natures. It’s going to be in my re-read pile for a long time.